“God our father source of life, we thank you for the gift of our Founder to the African world and to the Church. Through his inspiration we cherish a message of faith, hope and love for all people to whom you send us” (the 28th General Chapter, 2016). It is very evident that God called us to work in his vineyard though unworthy we are. He called us from all corners of the earth to be his witnesses of faith, hope and love. The General Council, through the office of ongoing formation, invites every year, missionaries of Africa in their 2nd term for a session on renewal. The Southern Africa Province (SAP) hosted the event at Kasisi, in Lusaka, Zambia, 2nd to 23rd July. The meeting took place in a nice and serene environment. Two facilitators were on board to journey with the participants, enhancing smooth running of the program: Bernard Ugeux (D.R Congo) and Timothee Bationo (Zambia). The meeting being a Society project, we came from all over. The participants were as follows: Bukelembe John (D.R Congo), Ekka Filiyanus (India), Haile Gazena (Ghana), Itaru John (Zambia), Kanto Hembram (D.R Congo), Kawama Virgilius (Nigeria), Kawisha Jones (South Africa), Kientga Joseph (D.R Congo), Konkobo Camille (Zambia), Meraba Philip (Malawi), Nana Daniel (Tanzania), Sawadogo Florent (Mozambique), Shehu Victor (Nigeria). We were all between 5 and 9 years of priesthood in the named countries of mission from 8 nationalities. The idea behind such a meeting is to invite missionaries of Africa in the mission to come together and share their experiences in confidentiality. This gives them a platform to meet, discuss, encourage and learn from one another after years of missionary work. Some were even meeting for the first time. We started our meeting with a recollection in which we reflected on the encounter between God and Moses, “the burning bush” (Exodus 3: 1-15). We, in our missionary life, strive to bring faith, hope and love to the people wherever we are planted. It is very evident that we selflessly render our services to God’s people who are entrusted to our care. In our attempt to serve them, we encounter joys and challenges. Our joys in service to God’s people have boosted our morale to move ahead courageously to work for the kingdom of God. It appeared very vividly in our sharing that challenges have never pulled us aback, rather have strengthened us even more to be radical witnesses of God’s mission, because in those challenges we have seen the hand of God. We have strong faith that God is journeying with us. No one regretted to be a Missionary of Africa. It is true that when we share our difficulties of life, half of the problems are already alleviated. There were moments, while listening to the challenging experiences of confreres some of whom were emotional, later on got relieved. We cherish wholeheartedly the openness in the sharing of confreres who had total trust in the participants. “Transparency never jeopardizes the life of human, truthfulness wins all the time” (Mahatma Gandhi). 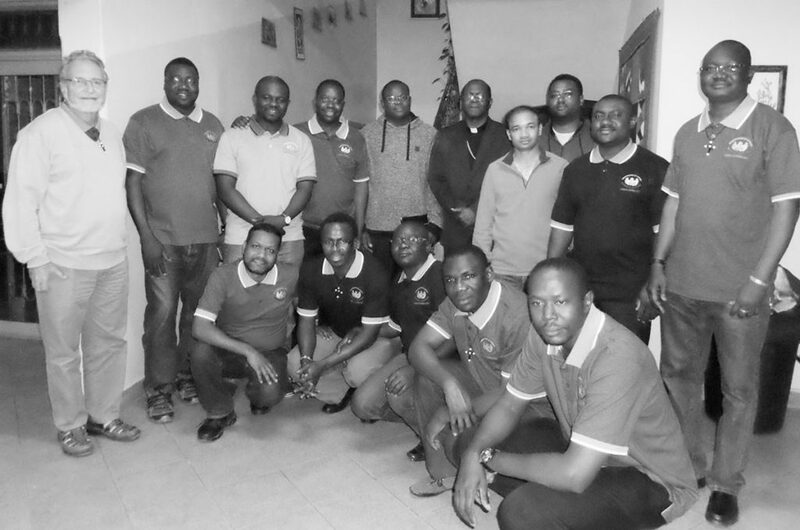 Transparent and truthful sharing about the challenging experiences of confreres, brought great encouragement to confreres, which prompted us to go ahead in order to fulfil the messianic vision of our founder Cardinal Lavigerie. We also had time for inputs on issues related to our personal, human, pastoral and spiritual growth. The sessions gave us enough material for our missionary life. In the sessions, we tackled: Building strong relationships with all through our affectivity for an integral ministry, boundaries to avoid conflicts, Addictions and the dangers around them, pastoral ministry, the spirituality of the priest and leadership, community life, media, Justice and Peace, Encounter and Dialogue, and Finances. What aspects of community life has helped me to be fulfilled in missionary life since my ordination? What aspects of community life did I find challenging since my ordination? What kind of community life I aspire realistically? These challenging questions must lead us to deeper reflection and sharing in our community life. According to the nature of our vocation, media is regarded as means of evangelization. Nevertheless the dos and the don’ts of the media have to be respected at all time to avoid abuse. In financial matters, it is important that the dignity and credibility of a priest is preserved. This will avoid denting his own reputation in the parish/institutions.The word of God states that “Spiritual leadership should oversee the treasury of the Lord’s house” (Neh 13:12-13), should be the basis and the guide of our attitudes towards the proper use of finances. Participants at the meeting of second term confreres in mission. The meeting was not only session, talk and work. We had opportunities to relax, recreate and refresh our minds and celebrate various birthdays and priesthood anniversaries. We visited the game park and the town. We also visited our two parishes within Lusaka. It was well appreciated by confreres and parishioners seeing the diversity of young Missionaries of Africa from all over the world for the Mission of God. As affirmed by some parishioners, our presence in their parishes strengthened their faith and gave them joy. We had a full day at FENZA (Faith and Encounter center Zambia). This was a good time for us to discover what the confreres are doing in the center. We ended the day with a fraternal meal with confreres of the sector and novices on their way to stage in their various countries. 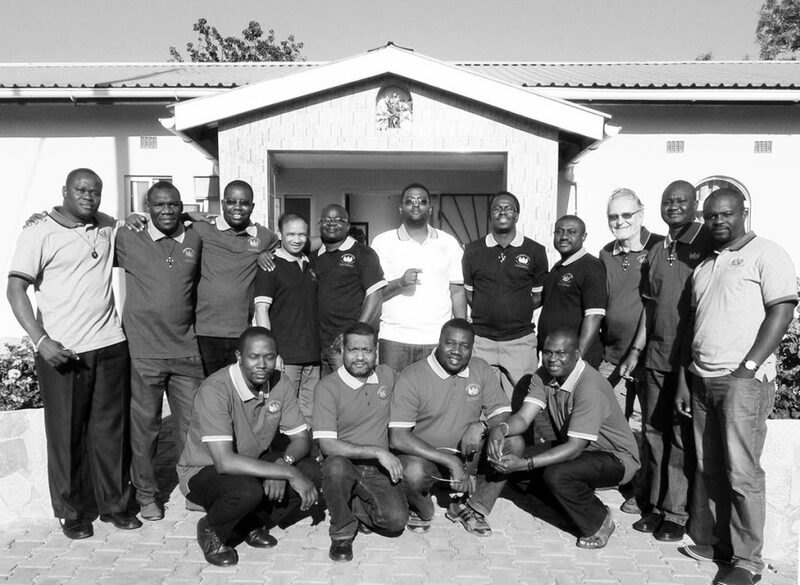 On the 15th of July, we joined the Catholic Church in Zambia for the celebration of the 125 years of Catholic faith. It was a great moment for us Missionaries of Africa, being the founding missionaries of Catholicism in Zambia. Our presence was indeed appreciated. … our founder Cardinal Lavigerie insisted on this principle. We, the present missionary disciples of Jesus Christ, inspired by the teaching of our founder should strive to live these words. The spirit of oneness was very much felt by each one of us, as our Superior General, Provincial of SAP and the Archbishop of Lusaka came and shared their joys and challenges with us. We sincerely appreciate the General Council for granting us this opportunity in which we met and shared our missionary lives and experiences. In a similar way, we thank our various Provincials of our mission provinces for making it possible for us to attend this important meeting. We extend our gratitude to the hosting Provincial, the organizers, the animators and the participants of the meeting. Camille Konkobo and Filiyanus Ekka, M.Afr. Here is an excellent dossier on the Church in Africa produced in French by the Magazine Jeune Afrique. We publish it because we think it is of great interest to all the confreres. Please note that for copyright reasons we reserve it only for the Missionaries of Africa and students, as if the journal was in our library. Please do not publish it beyond this circle. The article is worth the language effort !